Over the last few years, smart phones and tablet devices have taken off in a big way. Because of this, if you are not in mobile marketing then you are leaving a lot of money on the table, and you run the very real risk of getting left behind by your competitors. Obviously, when a somebody accesses your website from their smart phone, the screen is significantly smaller, which means a traditional website will be hard to navigate through. With this in mind, it’s essential that you optimize your website for mobile, so a potential customer can find exactly what they want quickly. Have you heard about QR codes? In a nutshell, this is a little code (similar to a barcode) that can be instantly “swiped” by a mobile device to gain valuable information and discounts offered by your small business. Needless to say, putting a QR code on promotional items such as flyers can be very beneficial. In order to get your very own QR code simply find a QR code generator online. This is a very straight forward process and will ensure that you have a QR code in only a few minutes. 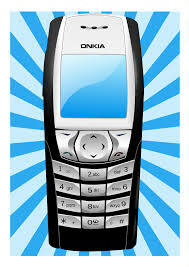 The easiest way to collect cell phone numbers is to give away something of value for free in exchange for the number. For example, if you own a restaurant, then offer free drinks in exchange for their details. Once you have their cell phone number then you can indulge in something called SMS marketing, which basically allows you to contact them directly by text message. So what are some good ideas for SMS marketing? Well, obviously you can contact the customer directly every time you have a new special offer and want to entice them to spend money. There are also more clever ideas you might to try, such as offering a free t-shirt promotion if they are one of the first 100 people to reply to your text message. This is a great way to get the message out about your small business, because if people are wearing custom printed t-shirts with your logo printed on them, then they basically become walking billboards for your business. One of the main advantages of mobile marketing is that it can be easily integrated with social media. Let’s say that you send out an SMS message to your customer list notifying them of a new post on Facebook. They can then easily click a link in the message and be transferred directly to Facebook on their phone. The same applies to other social media sites such as Twitter and Instagram. Another mobile marketing tip for small businesses is the ability to engage a customer through their cell phone devices. As an example, why not send them out a survey or poll where they can rate their experiences dealing with your business? This keeps engagement high, and increases the chances that they will return again to spend money. Not only that, but you can also engage a customer with mobile deals, discounts, and coupons, that they are able to bring in to your store.